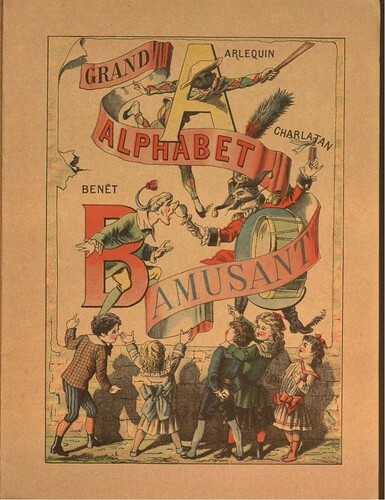 'Grand Alphabet Amusant' by E Morel, ~1890; extracted from a pdf hosted among the ancient childrens literature at the Braunschweig Digital Library (the complete book has been posted above. There is next to no information about the illustrator online). Note that the letter 'W' is missing. 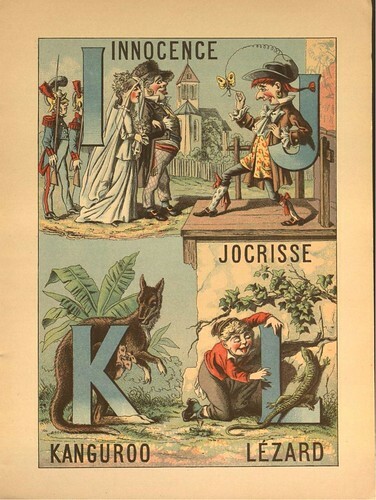 My understanding is that the traditional French alphabet lacked a 'W' and it is only used now for imported words. 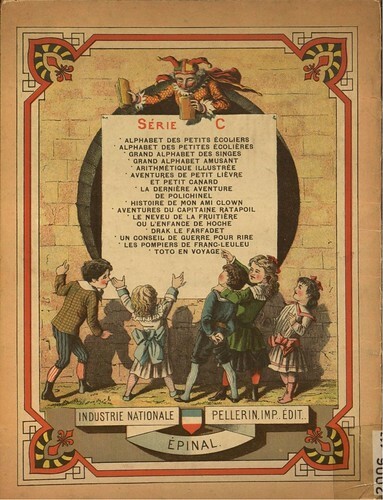 Wallons (Walloons) might be an exception. Any others? 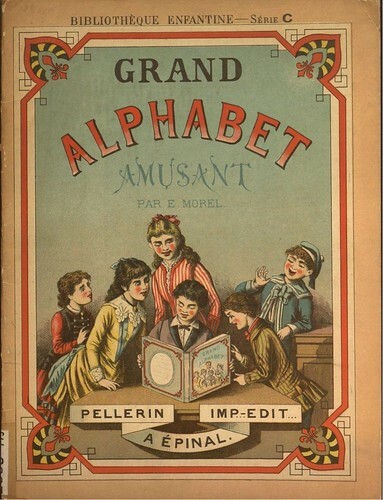 A person has to like a children's alphabet that includes words like "antipathie," "effroi," and "grotesque." 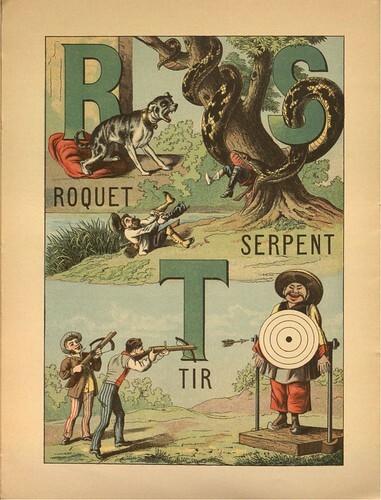 Then again, if I were young enough to be learning my alphabet, I might be disturbed by the activities of the "serpent" and by the extraction of the "molaire." Nightmares could ensue. 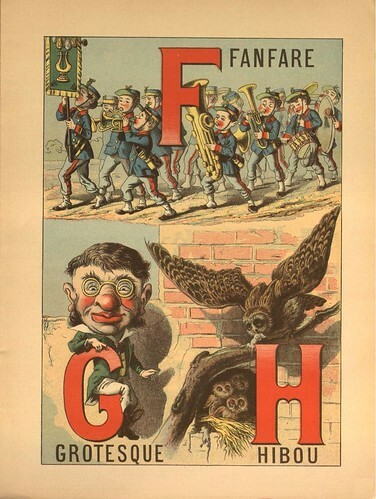 I have always been frightened and fastinated by the horrifying things that are mixed into children's stories, illustrations, and toys in the pre-20th century western world. Honestly, I don't care what decade you live in: what child wants to see someone getting a tooth ripped from its socket? Maybe we are all pansies today. ..what child wants to see someone getting a tooth ripped from its socket? I notice you have a daughter Jeanie. Heh. I suggest avoid having a son! You might be surprised by what they want. 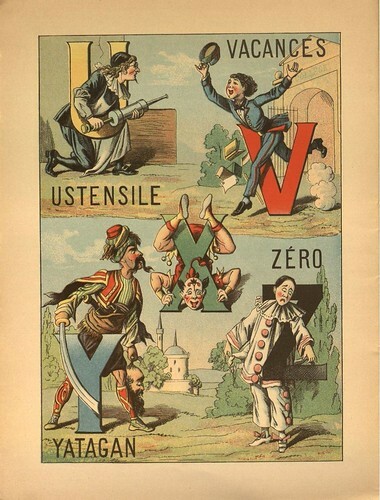 Re French's missing 'W': I bought a French alphabet poster at the excellent Printing Museum in Nantes last fall. 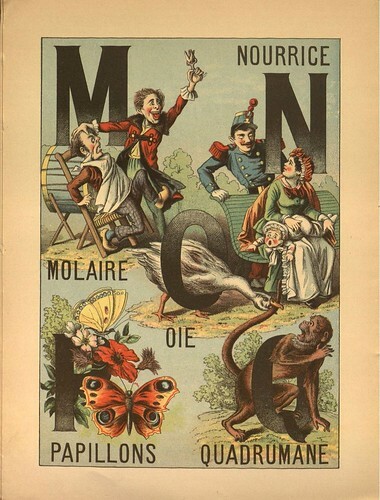 Each letter has three associated illustrations. 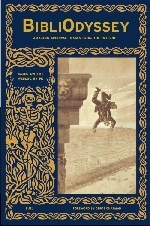 For W there's a train ('wagon'), a viking-looking fellow with a horned helm ('wisigoth'! ), and an elk ('wapiti'). All imports, looks like. Thanks Aubergino. 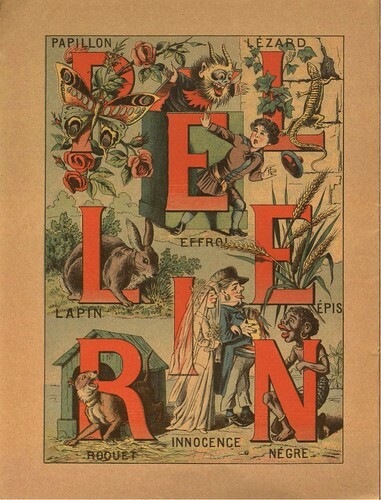 I studied French at school and although that's a good many years ago, I'm surprised I don't remember or never knew that the 'W' was a ring-in. 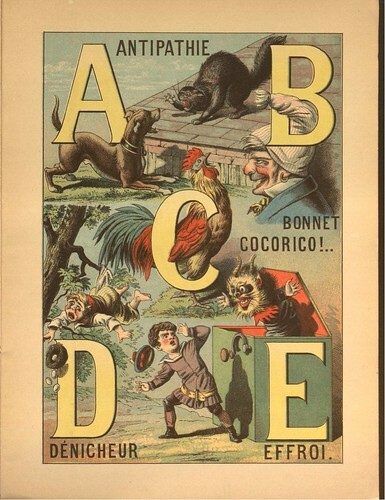 A funny Epinal abc , great! Merci Patricia et félicitations à l'occasion de la naissance d'une nouvelle lettre!